Jaden Smith, the son of movie star Will Smith, has polarized the public ever since he moved out of his house at the young age of 15. Smith has always been one for advocating free speech and the expression of creativity, and when you think of this name maybe you imagine “The Karate Kid,” or picture him attending a red carpet event with a newly shaved head, holding his dreads in his hand. Regardless, Smith has always been an odd character in society. Over the past few years, Smith has transitioned from the world of acting to the world of music. After landing a few features with big name artists such as A$AP Mob, Tyler the Creator and Childish Gambino, Smith’s budding musical career was only scratching the surface. 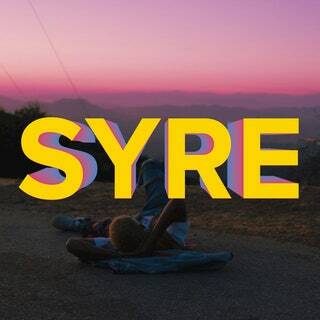 On Nov. 17, he released his first, inaugural album “SYRE.” The tape is 17 tracks in length and spans over 70 minutes. Smith bounced around in all genres as he hits at rap, rock, jazz, blues and R&B. The first four tracks on the tape spell out the word “BLUE,” with each track title consisting of one letter. The songs all seem to flow together over a beautiful piano rhythm and the hard hits of 808 drums. Willow Smith, Smith’s sister, and Pia Mia hop on the first track “B” with haunting lyrics followed by Smith continuing with an off kilter flow that hits at depression. The “sad” vibe continues on through the next three songs “L,” “U” and “E” where Smith takes a stand as an artist and depicts the morbid state of the world from his perspective. The next song, “Breakfast,” takes the sad song theme and flips it on its head with a feature from A$AP Rocky. A playful piano rift matched with a wavy bass takes over the song as Smith and Rocky go back on how they roll as artists until the beat turns into electric synth noises. Smith flips genres again as he enters the upbeat song “Falcon,” which features some vocals from longtime friend and Atlanta artist, Raury. The beat almost sounds like a video game and this entire song pretty much consists of Smith flexing his success. At first, one might consider this a rap song, but it’s more of an alternative-rock song that switches from a light and airy 808 beat to a hard hitting bass line. On the track “Ninety,” Smith slows his mood down for a soft rock song about his youth, where Smith almost wails into the mic about his love for a girl he knows. This song is followed up with the track “Lost Boy,” a nine minute song featuring Odessa Adlon. The song features a reflective guitar rift paired with the croons of Smith and Adlon as they sing about their coming of age and the feeling of being alone. “Batman” was the second single to be released off of this album, and it pays homage to Adam West, one of the original actors who portrayed the superhero Batman. The following songs blow the album out of the water with hyper beats, intense lyrical flows and conceptual meanings. “Icon” and “Watch Me” find Smith rapping about his accomplishments. “Fallen” is where Smith really pushes his limits as an artist as he formulates a rock and roll song about his love for his girlfriend, Odessa Adlon. Smith wins the support of rap phenomenon Kid Cudi on this track, which makes it an instant hit with most audiences. The album comes to a final conclusion on the album-entitled track “SYRE” where Smith shouts out everyone who helped him get to where he is today and some of his inspirations like Kanye West and Kendrick Lamar. At 19, Smith is only just scratching his artistic potential. This album may not be perfect, but it shows countless flashes of raw talent and possibility. It will be exciting to see where Smith takes his career next. Whether he appears back behind the mic or behind the camera, he’s sure destined to continue his success and grow as an artist. Photographer, baseball player, Netflix binger, music buff.